Are you looking for something a little fresh and different to complement your new season's outfits? Perhaps you're tired of your boring old bags and want something spectacular that gets noticed for all the right reasons. 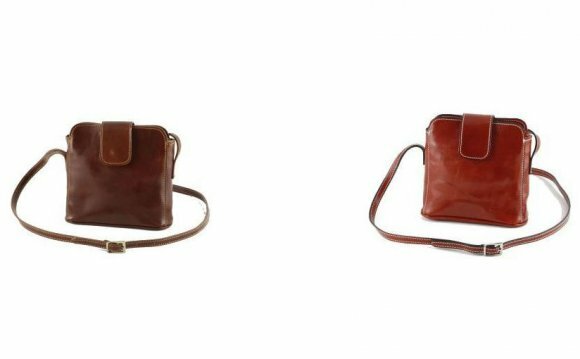 In these circumstances and many more, woman’s leather handbags are a great option. Our leather bags are made from high grade animal hide which has been beautifully shaped to create an item that's highly functional in addition to being extremely attractive. Hand crafted in India, our embroidered bags feature exciting, traditional designs and masterful stitchery. Ideal to provide an exciting accent for a neutral outfit, or to accessorize with a suitable coat and shoes, our embroidered bags include internal zipped compartments for added security as well as some handy exterior pockets to hold various odds and ends. The hand crafted nature of these items means that no two are exactly alike, giving your outfit a unique twist that's always appealing. Why Not Gift One of Our Embroidered Handbags? If you're looking for a present that's both useful and attractive, one of our handmade bags is the ideal solution. The easy-to-wear design and practical compartments mean it's a great choice for busy people that are always on the go. When looks matter, the bright color combinations, high quality stitching and premium materials ensure that every bag we sell is of an exceptional quality.